Change the weights by changing weights 1 to 3, wx goes with input x and weight 3 is the bias. To activate the neuron you need to click on the the yellow ball ('the neuron'). The video below show it in action and explains the code. 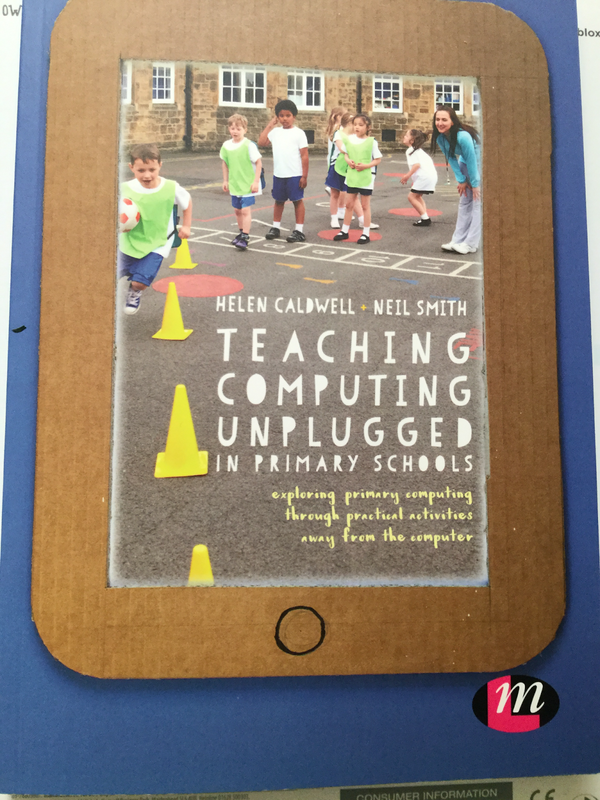 A recently released book Teaching Computing Unplugged in Primary Schools edited by Helen Caldwell (University of Northampton) and Neil Smith (Open University) has a number of interesting chapters by authors who are passionate about how computing is taught in schools. The central theme is unplugged activities, without using computers, but still teach the fundamental of computational thinking. Ok, confession time. 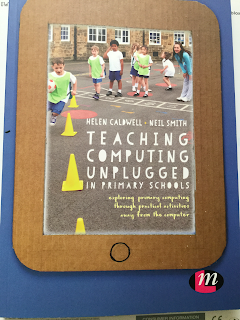 I co-wrote, along with Katharine Childs (Code Club), Chapter 3 Artists so I am biased here, but I believe in the central theme of Unplugged Computing. 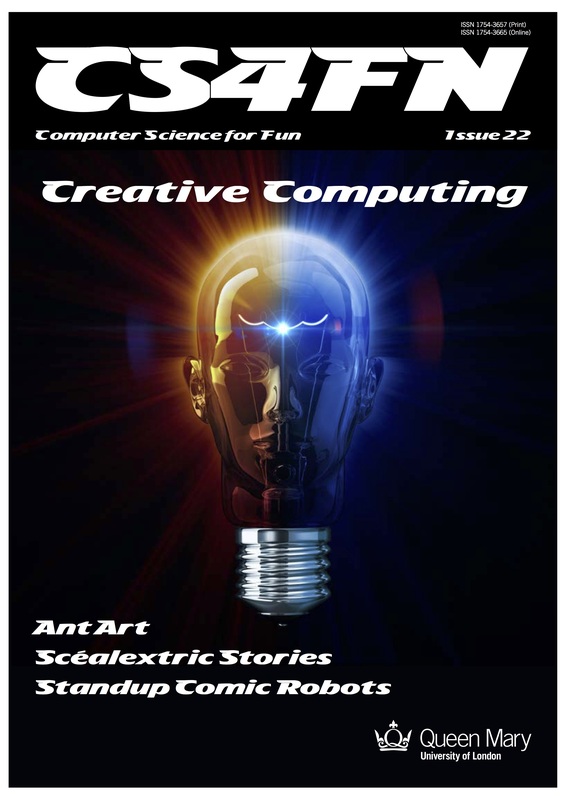 Computing, and Computational Thinking in general, is not just about programming and using a computer (though using computers and programming are vitally important to Computing) but it is also about many other things including problem-solving, being creative and working collaboratively. The other chapters make links with areas such as Robots, Musicians, Explorers, Magicians, Gamers, Cooks and Scientists. Freedman, J. (2015) Cycloid Drawing Machine [online] URL: https://www.kickstarter.com/projects/1765367532/cycloid-drawing-machine accessed on 3/3/2016. Google. 2016 Project Jacquard [online] URL: https://www.google.com/atap/project-jacquard/ accesed on:1/3/2016. Knuth, D. 1968. Preface, The Art of Programming vol 1., Boston: Addison-Wesley. Knuth, D. 1996. Foreword. In: Petkovsek, M., Wilf, H., Zeilberger, D. A=B.. Natick: A K Peters/CRC Press, vii. Koetsier, T., 2001. On the prehistory of programmable machines: Musical automata, looms, calculators. Mechanism and Machine Theory, 36(5), 589-603. MoMA. 2012. MoMA| Video Games [online] URL: http://www.moma.org/explore/inside_out/2012/11/29/video-games-14-in-the-collection-for-starters/ accessed on: 1/3/2016. Liukas L (2015) Activity 7 The Robots Hello Ruby - Adventures in Coding, New York: Feiwel and Friends, 94-97. Turner S (2016) 3 'Art' Scratch Projects [online] URL: http://compuationalthinking.blogspot.co.uk/2016/03/3-of-my-scratch-projects-for-week.html accessed on: 12/3/2016. All views and opinions are the author's and do not necessarily reflected those of any organisation they are associated with. Twitter: @scottturneruonAll views are those of the author and should not be seen as the views of any organisation the author is associated with.